Rock engineering of slopes on facilities such as railways, highways and power facilities must have a high degree of reliability and safety for the public. This requires that they be stable against both large-scale failure and rock falls. 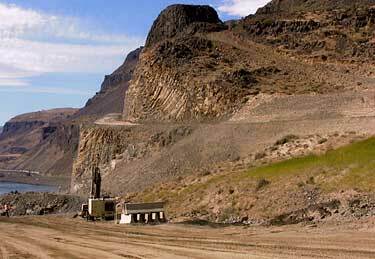 The design of stable rock cuts requires detailed examination of the structural geology, careful blasting and the installation of stabilization techniques suitable for engineering the particular conditions at the site. Geological engineer investigations include structural mapping, diamond drill core logging, with and without core orientation, and ground water studies. Design of rock fall protection measures - ditches, fences and sheds.